DAVID LE/Staff photo. 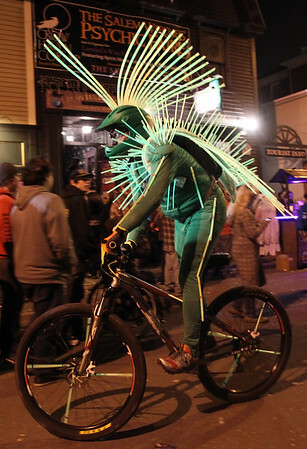 Jim Dionne, of Peabody, rides his bike down Essex Street while covered in glow-sticks on Halloween evening. 10/31/15.